POSITAL has developed magnetic absolute encoders for measuring rotary angles or linear motion in mobile machines. The encoders, which are operated with PELV (Protective Extra Low Voltage) fulfill the requirements of IEC 61508 / DIN EN 62061 (SIL CL 2) and DIN EN ISO 13849 (Performance Level d). Featuring a wide input voltage range of 9 to 35 V, they are suited for many different applications – for vehicles with a 12 V onboard voltage as well as for the rail sector. The magnetic encoders provide a 12 Bit resolution and an accuracy of approx. 10 Bit (± 0,35°) per revolution. On the housing side, they ensure IP69K protection while IP66 is reached on the shaft side. The encoder housings are available with two different diameters: one 25mm model for restricted installation space and a flat 58mm model that requires very little depth. Made from a special alloy, the magnetically shielding steel housing is also protected against salt mist. 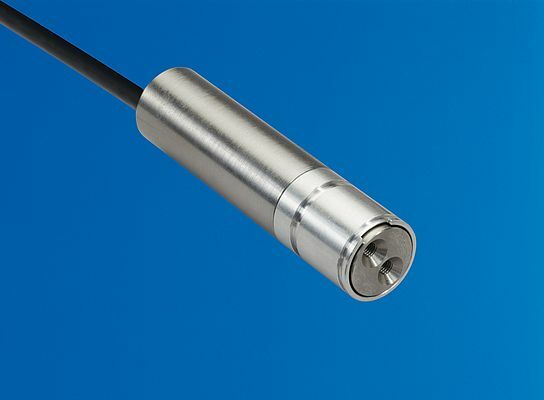 The SIL CL 2 encoders are based on two Hall sensors that measure the magnetic field of a permanent magnet mounted on the shaft. The Hall sensors are read out separately by two microcontrollers. The CAN controller, which is also redundant, is connected to the CAN bus via a transceiver. Both microcontrollers ensure logical monitoring of each other's program sequence. Diagnosis functions include temperature monitoring inside the sensor and the output of emergency messages via the CAN bus if pre-set limits are reached. Input voltage monitoring is also included in the diagnostic options. The sensor's node number can be optionally configured by means of four hardware inputs, which considerably facilitates installation and changeover since the devices no longer need to be configured via tools or require point-to-point wiring.